Minister Rajapakshe said yesterday that the university protests carried out by the university students were politically funded. Addressing a news briefing, IUSF Convener said none of the political groups had funded them in organizing their protest marches. “People of this country know how we collect money inside buses by carrying tills. We earned money on our own. 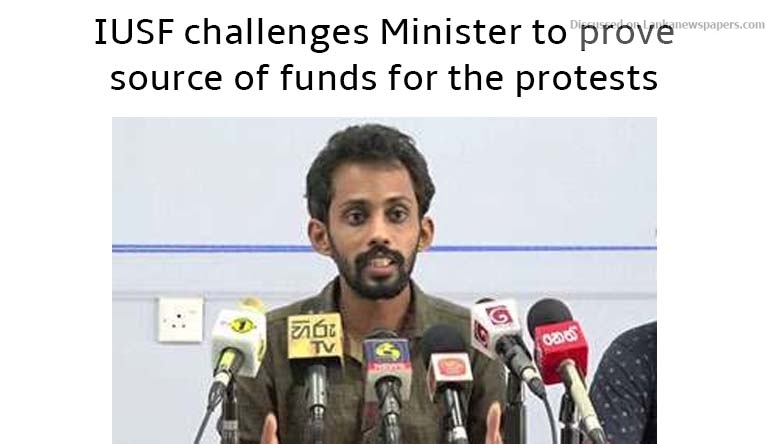 If Minister Rajapakshe says that we are funded by political groups, we would like to know who they are,” IUSF Convener said. Meanwhile, he said they were also in position to do away with ragging if the Government would co-operate with them.